A number of Membership Packs and the Study Material sent to 'ST' and 'T' candidates return to IEI undelivered. Click here to see the list of such candidates. You may opt for re-despatch of the same by remitting a sum of Rs. 265.00 only for packing and postage (Rs. 115.00 for Membership Pack / Rs. 150.00 for Study Material) through DD in favour of 'The Institution of Engineers (India)' payable at Kolkata. Books provided by IEI are not very effective to pass AMIE exams (just like NCERT books - next to nothing). 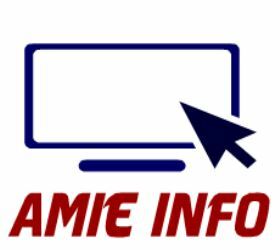 To get effective study material, visit www.amiestudycircle.com and download prospectus of postal preparatory course for AMIE exams. Course material provided by AMIE(I) Study Circle is very effective and time saving (something which is sought by working aspirants).